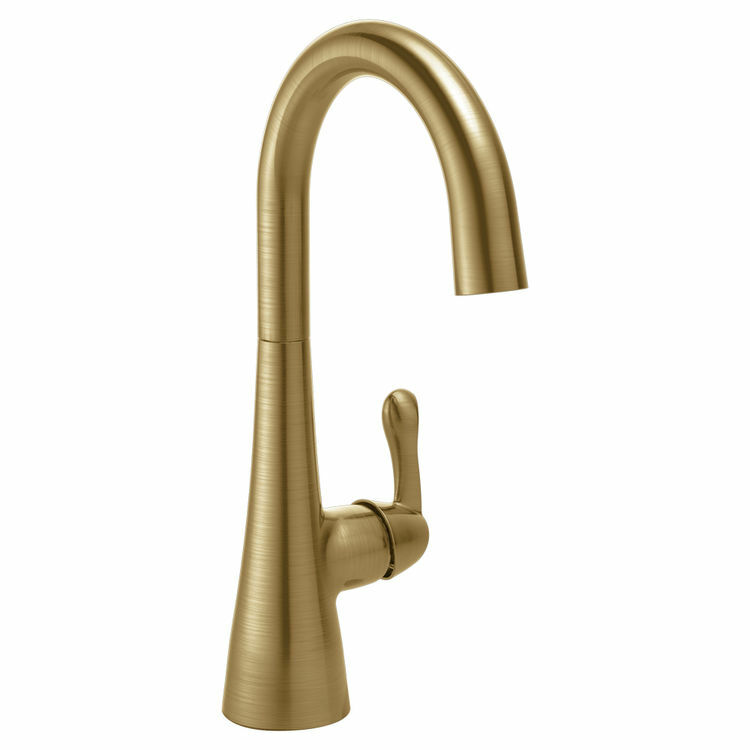 The transitional styling and warm, lustrous champagne bronze finish of Delta's 1953LF-CZ single-handle bar/prep sink faucet will add simple elegance to your bar or food preparation area. Better than traditional brass or even chrome, the Brilliance finish on this faucet resists abrasions and discolorations. The high-arc spout rotates a full 360 degrees; and the maximum flow rate is a water-efficient 1.5 gallons per minute. This ADA-compliant Delta 1953LF-CZ bar/prep faucet can be installed on 1-hole or 3-hole sinks. For 3-hole installations, order the optional color-matched escutcheon (Delta RP77702CZ). The Delta 1953LF-CZ single-handle bar/prep sink faucet is protected by a lifetime limited faucet and finish warranty (5 years for commercial users). Since its founding in 1954, the Delta Faucet Company has been a leading innovator in creating smart, stylish plumbing fixtures and accessories, anticipating people's needs and desires for convenience, fashion, water conservation, dependability, and long-lasting quality.